I’ve be looking at the watercolours on Google search again. The search terms are usually a mixture of urban, sketching and watercolours. The latest inspiration for me is Thomas Schaller, a fantastic artist from the US. His skills with watercolour washes are breathtaking. He has a great blog and generously shares his work with the world. 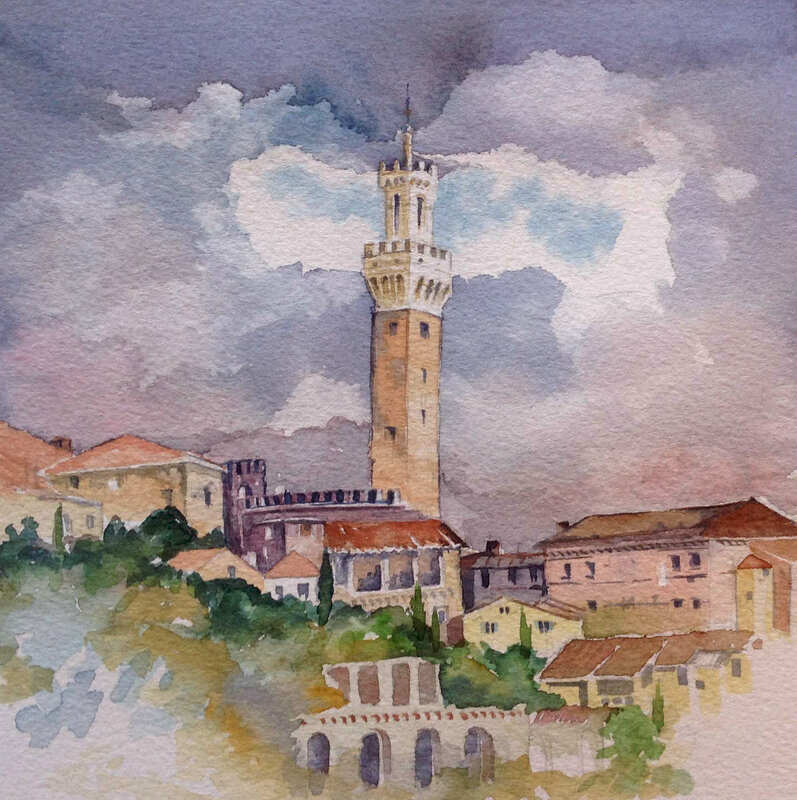 Looking through the blog I found a wonderful watercolour of Sienna. I needed to try painting it, to learn from the composition, washes and tones. My attempt is clumsy but then I am learning from a multi-award winning professional, something might rub off.